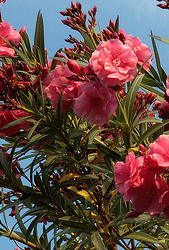 The Oleander Plant adds some Mediterranean flair to your container garden. Here are some tips and care instructions for oleander trees, pruning and propagation. If you have ever been to the Mediterranean you will remember this beautiful plant. 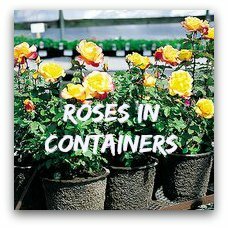 It is one of the most popular container shrubs for sunny patios. This plant has already been a favorite in roman times! Probably because of the delicate but showy flowers that reminds many people of roses. take care when handling - the whole plant is poisonous! There are many different varieties available for cultivation: single or double flowers in pink, white or red. The white oleander is particularly elegant and decorative. 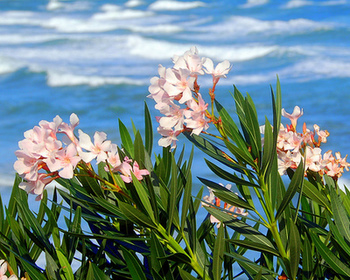 The oleander tree (Nerium oleander) is an evergreen upright shrub that can get 2-3 m high. The leaves are oblong and would remind you of laurel. In its natural environment the oleander tree grows in a mild climate along streams where the soil stays moist for most of the time. Oleander cultivation is not difficult. You just have to know that it loves sun and water! They need lots of water during the summer month. You can even leave some water in the saucer! 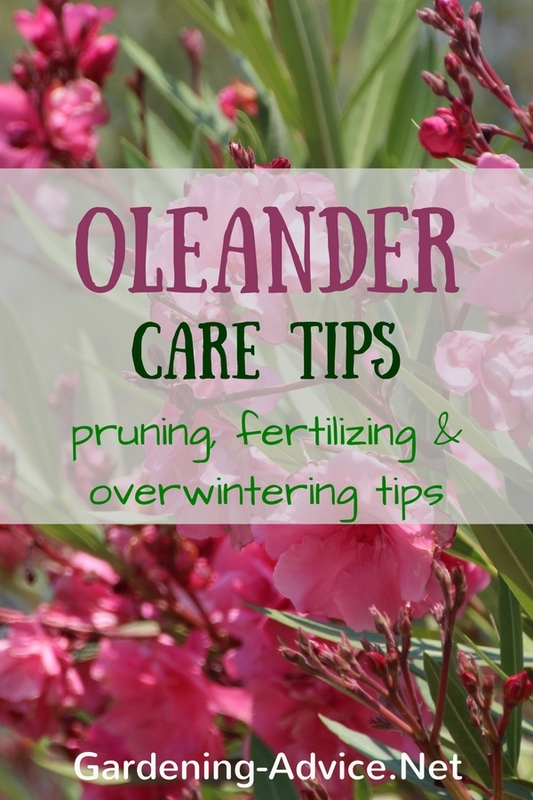 Choose the sunniest and warmest spot you have for your oleander shrub. A hot south-facing wall is ideal. 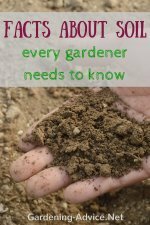 Feed them once a week with a liquid fertilizer. 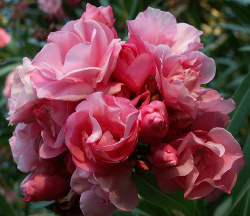 Oleander is not frost hardy. They have to be over-wintered in a cool, bright room. The ideal temperature is 5-10 degrees C. A greenhouse or conservatory is ideal for this purpose. 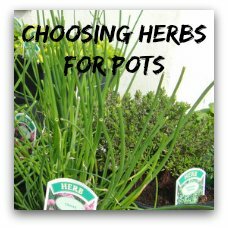 The plants of course will need less watering during the winter months. The amount of water they need though will depend on the room temperature. Pruning oleander is easy. They actually don't require much cutting back. 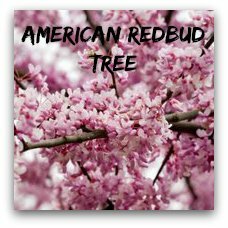 Remove old branches of mature plants at the base to encourage new growth. The best time for oleander pruning is the spring. 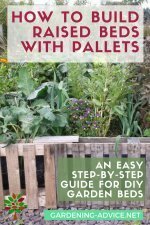 Older plants can be cut back hard. Don't dead-head finished flowers. These will be the first flowers of the following season. 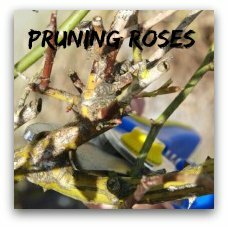 The best way to propagate oleander shrubs is from cuttings. They root easily in a glass of water. 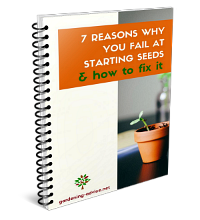 The best time for propagation is from June to August. The cutting should 10-15 cm long. 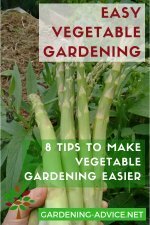 The cutting should grow roots within 3 to 4 weeks. Once the roots are about 2 cm long pot them up into small containers. Oleander is very poisonous. To avoid oleander poisoning children should be watched and flowers and leaves should not be eaten! Avoid contact with the sap and wash your hands and tools after pruning oleander trees. This warning will hopefully not keep you from growing oleander. Just stick to these precautions.